Just think…you’re addiction could be much, much worse! :D These pancakes sound fantastic! 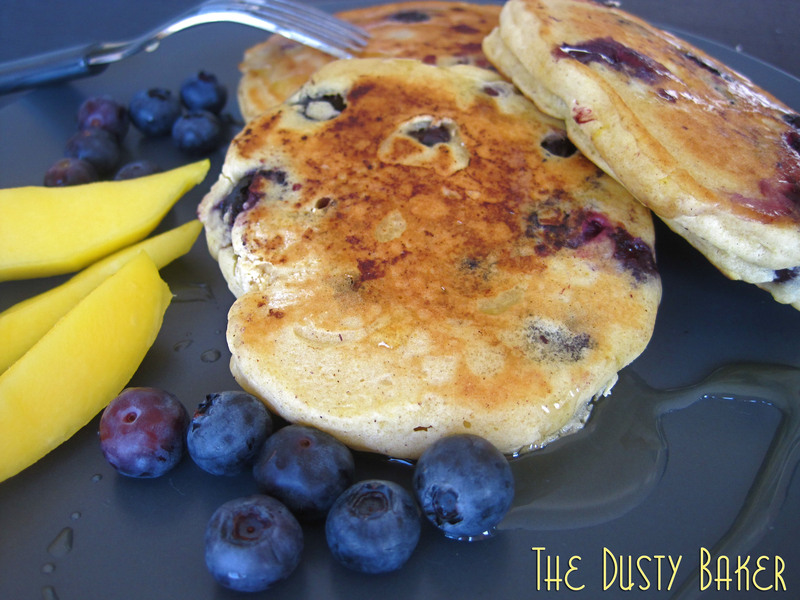 Pancakes are a huge hit in my home on Saunday morning… like yours, we use blueberries, lemon zest and whole grains. I’m grateful I got my 5 and 7-year-old hooked on them over the white flour variety. A good douse of hot, pure maple syrup seals the deal! wouldn’t be able..just correcting myself LOL!!! Beautiful photo! Another great way to use my blueberries this summer. I have a pancake problem too, maybe we should start a support group? Pancakeaholics anonymous? Blueberry lemon, yums! great pancakes!!!!! yours look beautiful!! !